Blue Dragon I on the stocks, Port Meadow, Oxford. Despite its small size, it could accommodate four adults and a child. ‘The Log of the Blue Dragon (1892-1904)’ was first published by AH Bullen in 1907, with a second, revised edition being published the following year by Frank Sidgwick. 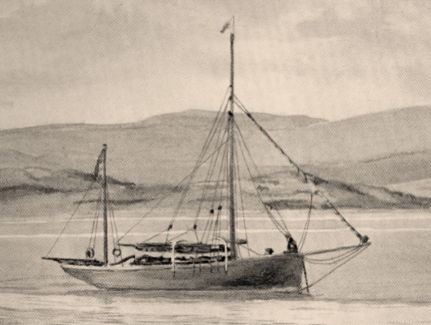 Blue Dragon II in the Shetlands (1909). ‘Blue Dragon II’, previously known as the ‘Isla’, had been the property of the Headmaster of Rossall School, Dr. Way. Also a yawl, it was 43 ft. long and had much more crew accommodation. 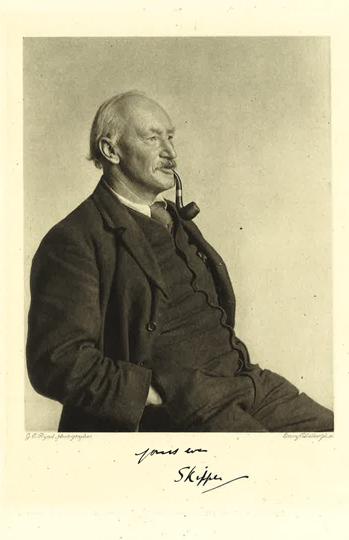 Having travelled extensively around the West Coast of Scotland, he ventured to Orkney and the Shetlands. 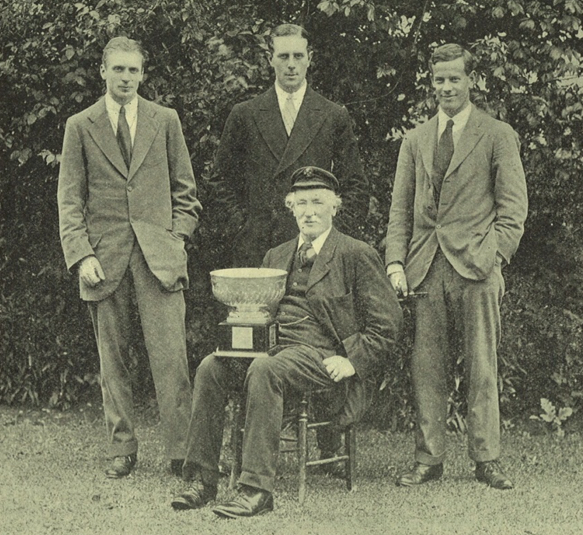 That year the Skipper won the Royal Cruising Club Challenge Cup for, in the eyes of the judges, the most meritorious cruise of 1912. He had made 81 new anchorage in the course of a cruise of 1,387 miles. 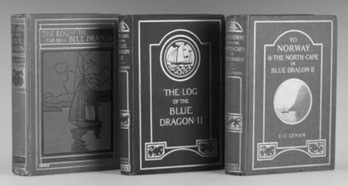 The logs were published as ‘To Norway and the North Cape in Blue Dragon II,’ published in 1913 by Sidgwick & Jackson. When the War started ‘Blue Dragon II” was still in Scandinavia, Skipper having returned in 1913 and 1914 for Baltic cruises. During the war years it became derelict and he was forced, eventually, to sell it in 1916. 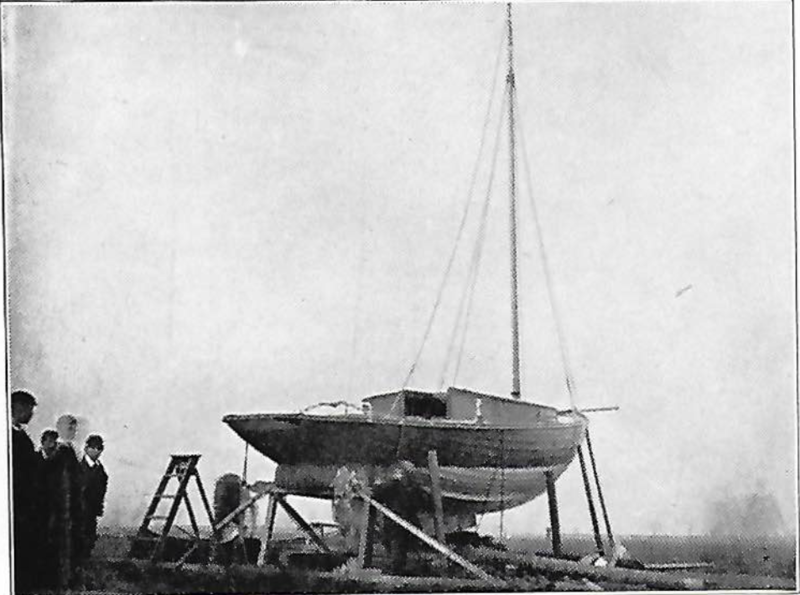 In 1918, Skipper identified a cutter called the ‘Onnie” as his ‘Blue Dragon III,’ which he described as “almost a duplicate of B.D II.” He continued his sailing career through until 1935. Along with his own family, numerous Old Dragons, masters and even pupils formed the crew of the various ‘Blue Dragons.’ Many of them fought in the War.